Once a month, my mom’s quilting guild hosts a sewing day at a local Bingo hall. It’s a great space with plenty of room for everyone to spread out. And there is a great Italian restaurant a block away so we had yummy Stromboli for lunch. I wish I were retired too so I could join the group more than once a year! 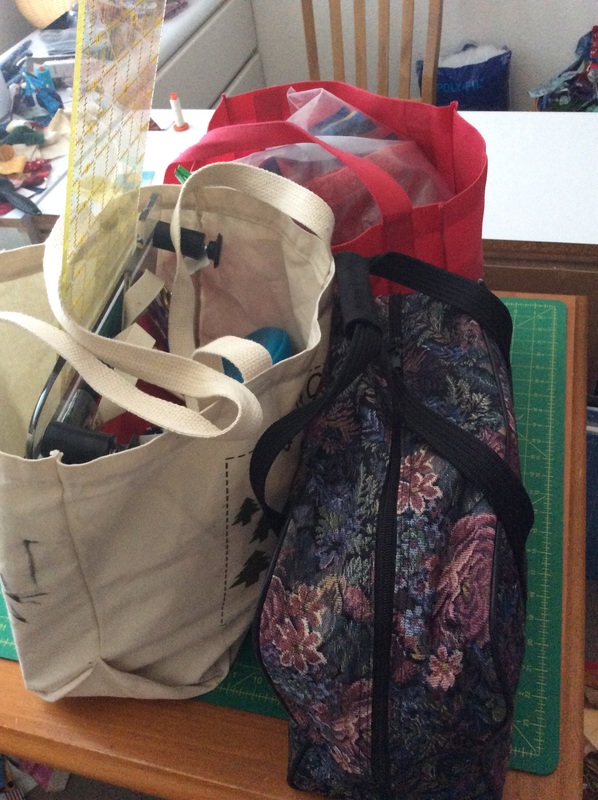 I packed three bags…one is my sewing machine and then I have four different projects to work on. 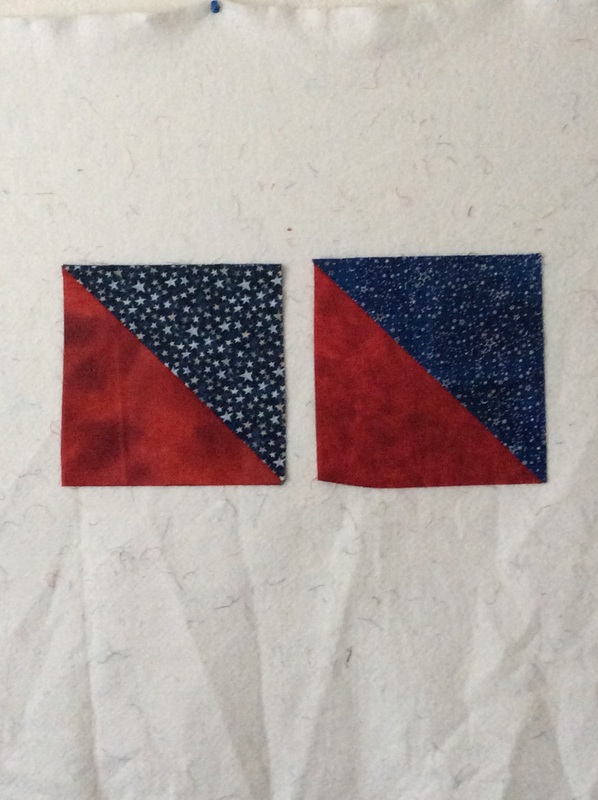 First, I added borders to the leftover Swoon blocks and brought the backing up to size. I hope to get this quilted before school starts in a few weeks. Then I worked on some HST for the Starry Night for Josh QOV quilt-along. The tables were a little too low for comfortable cutting, and I didn’t have the correct size ruler and mat, so I set this project aside. Sometimes it is just not worth it to “make do” especially when there is new fabric to play with! I opened a couple jelly rolls and started a new design. Unfortunately, I did not think ahead more than one step, so I spent some time ripping while making the strip sets! It was a lovely day, but now I am back to longarm work. I have another Aviatrix Medallion on the machine and we are expecting summer thunderstorms as remnants of Hurricane Dolores pass by.